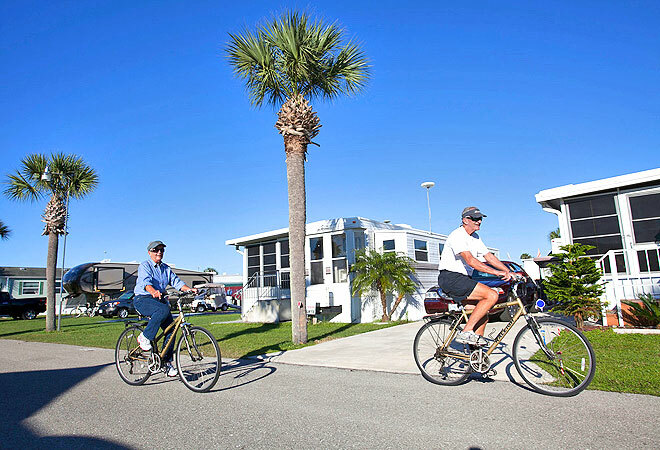 Just a short drive from Florida's Gulf coast, Toby's RV Resort is a sub-tropical paradise. This beautiful RV resort is located in Arcadia, one of the best small towns in Florida. Just minutes from the resort, the Tampa/St. Petersburg metropolis offers world class dining, entertainment, museums, and cultural events. Back at Toby’s RV Resort, guests enjoy our long list of amenities including a heated swimming pool and spa, shuffleboard and tennis courts, driving range and mini golf, horseshoe pits, billiard tables and a stocked fishing lake. If shopping is your hobby, this RV resort in Florida is located near the prestigious St. Armands Circle in Sarasota where numerous outlet malls await your exploration. Other nearby attractions include Busch Gardens, Sea World, and of course, the magnificent Gulf of Mexico. Come discover what makes Florida's west coast a popular vacation destination by booking a trip to Toby's RV Resort. Our country atmosphere is sure to satisfy your quest for just the right amount of fun and relaxation.